We play it, so you don’t have to. These services offer you embedded players on their websites and mobile apps you can listen on. 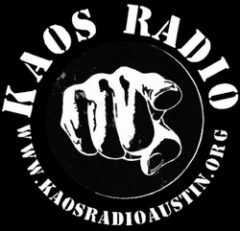 Some shows are archived for your listening pleasure at any time, anywhere, in any order you want because at KAOS radio Austin, it doesn’t have to make sense. You can listen both in browser or via the mobile apps for each service.